There’s a misconception that you need to know a lot of BIG extended chords and passing chords to make your playing sound full and rhythmically interesting but in reality, all you need for now ( especially as a beginner and intermediate player) are ways to add rhythms to already learned progressions so they can come alive. 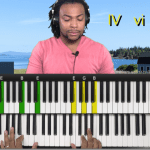 Master the heart of hand independence with these 6 progressions, over 10 rhythmic patterns, transposed in all 12 keys. 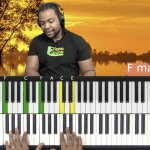 Bring those favorite songs of yours to life by simply adding broken chord rhythms.